The best solution for pole dancers who suffer from very sweaty hands and body. 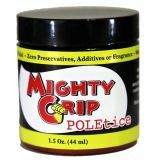 Mighty Grip Poletice is a safe, natural alternative that WORKS and recommended for hyperhydrosis (heavy perspiration). This product is 100% natural and contains only mineralized water and naturally organic silica. It's easy! Unlike other products, you do NOT leave this on, you take it off, then go about your day! Wash your hands with a non moisturizing soap, leave slightly wet. Sprinkle or scoop a little powder (shake the jar first to mix ingredients) into wet hands. Rub into a mud gently. Let dry until COMPLETELY WHITE. Rinse with water and dry hands. Wash your hands with a non-moisturizing soap, dry with towel. Scoop about a small amount into palm (more if needed). Just like a face mask gently spread on skin where needed. When you've finished... save your empty jar! Refill powder available for purchase per request. 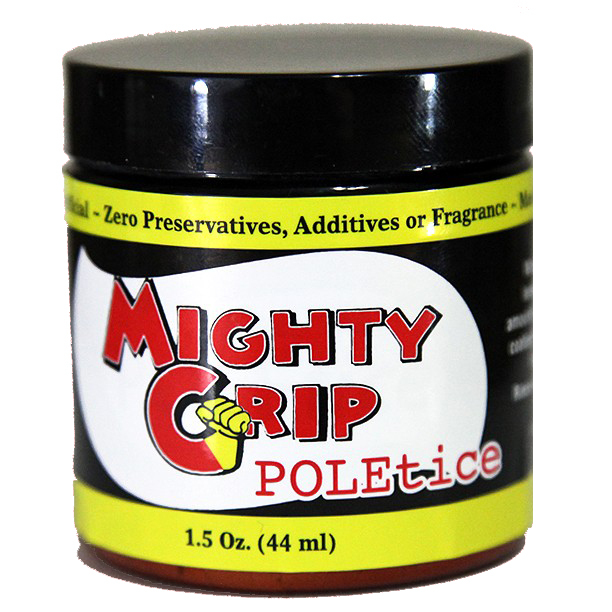 Please view the video to learn how to apply Poletice properly.